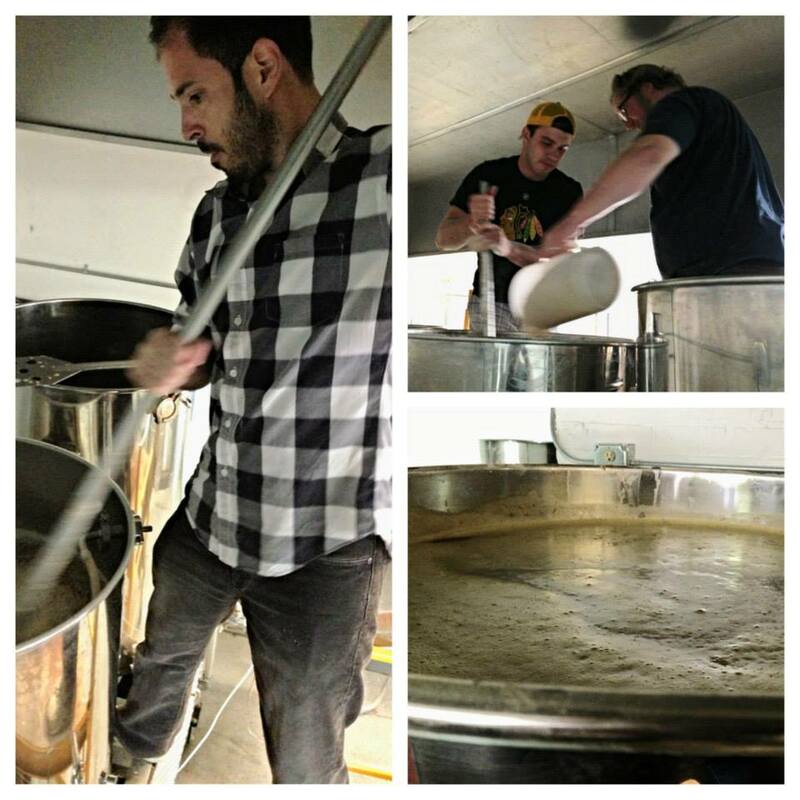 The Dodgy got an update from Jeremiah Zimmer of South Loop Brewing Company on the new brewery. We also discuss craft beer, craft beer fashion, and craft beer women. 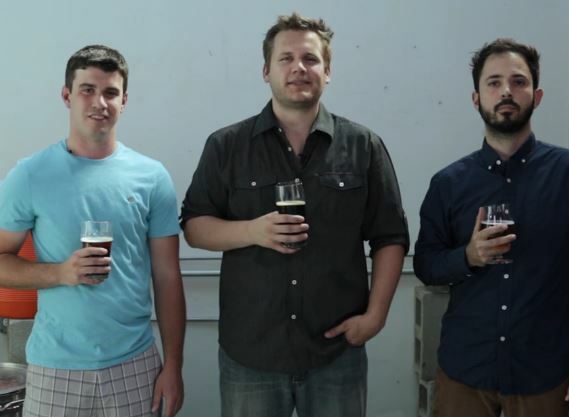 Jason Maxwell, Jeremiah Zimmer, and Jude La Rose are the South Loop Brewing Company. What’s the update on South Loop Brewing Company and its location? I can’t provide specifics until the deal with our friend/partner brewer is signed and formalized, but we will be utilizing the alternating proprietorship approach to get started. We’ll use this arrangement to brew and package our beers for up to a year before we set permanent roots down in the South Loop proper with our own brewhouse, taproom, etc. That said, should the perfect space and terms present themselves, we would definitely pursue and begin that process. Are any of your beers available now? Milkstachio, our pistachio milk stout collaboration with DryHop Brewers, was last seen on tap at Reggie’s Rock Club a few weeks ago, but I know they ran out and they were the last to have it. Flo & Santos and Weather Mark ran out of their kegs pretty quickly also. That was a popular one. Following the conclusion of our IndieGoGo fundraising campaign, we’ve been working towards getting to that first brew day and putting all of our efforts into our own beers and brewery. However, once we are up and running and are in the proverbial groove, we’ll get back to collaborating with other favorite, local brewers of ours. What will the layout of the brewery/taproom be like? We’ll start with the brewery and work towards building out a taproom. Hopefully, with as little a window of time between the two as possible. As it relates to the layout/look, that all depends on the space we find. We’re big on being unique, but enjoy the idea of the taproom as part of the brewery, similar to Solemn Oath’s set-up, as opposed to a separate room. We really are at the mercy of the space we settle on though. Have the three of you always been friends? We haven’t. I’ve known both of them for about eight years now though. Jude and I worked together in a past life and Jason is my brother-in-law. We have a pretty solid dynamic going on as it relates to the brewing company. We work well as a team of three. If you could have a pint of something right now other than your own what would it be? At the moment, I also happen to be starving, so I’ll go with something on tap at DryHop (if it’s still on, “91” was delicious), so I can also order one of those amazing fried chicken burger/sandwiches along with it. Butterfly Flashmob from Solemn Oath and Omega Midnight Stout by Ale Syndicate are two other favorites at the moment as well. Are you guys fans of the film Drinking Buddies, filmed locally at Revolution Brewing, and if so why do you think craft beer makes for a good movie backdrop? (I get thirsty when I watch that movie because there are pints of beer in nearly every scene). I’m embarrassed to share that I haven’t watched it yet. It’s been on my list for a while now, ever since I heard they filmed at Rev, but have spent every extra minute of free time on this brewery that my movie-watching time has really zeroed out. It’s on the list though! I’ll get there! Are we seeing more knowledgeable craft beer women like Olivia Wilde ‘s character in Drinking Buddies? Absolutely, positively, 100 percent yes. Claudia at Temperance, Abby at Three Floyds…on the blog side, Jessica Murphy (Girls Like Beer Too) and Kim Leshinski (Hail 2 the Ale) are the first four that come to mind. Would a brewery be a good place for a blind date or to meet someone? Is there anything about the style of brewers, where you see a lot of beards, long shorts with long underwear underneath, and stuff like that? What you describe is certainly the stereotypical brewer, isn’t it? I happen to know a lot of brewers that don’t fall under that description though and they make damn good beers just as well. Others, look exactly like that and also make damn good beer. We’ll see…once we get going, I may have to see what kind of beard I can muster out of this face of mine. Jude definitely sets the bar for beard respectability among us three though.